The deadliest professions for men and mental health. OUR nation's job market is booming - the mining industry is picking up again, contractors are practically begging teens to consider a trade and the defence force is advertising every career opportunity young adults could dream of. News.com.au has been highlighting men's mental health issues as part of its campaign The silent killer: Let's make some noise in support of Gotcha4Life and the Movember Foundation. 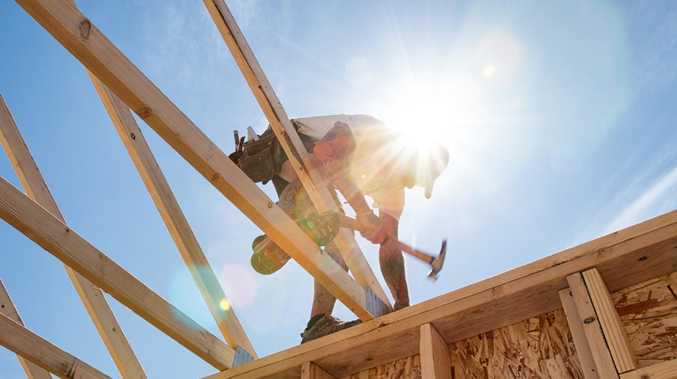 While a lot of the attention and money in the construction industry goes towards ensuring workplace health and safety, the charity's CEO Chris Lockwood said it's death by suicide - six to seven times more than on-site accidental deaths - that should really hit home. "It's not good enough and it's up to us as an industry to step up and do something." "We do know we have had a direct impact," Mr Lockwood said, citing an 8 per cent drop in Queensland's construction worker suicides from 2008 to 2013. "It's one of the trickiest things, evidencing that you were the reason someone hadn't died by suicide. It's not that straight forward but we know from the stories we hear that we're making a difference. "One example was when we rolled out the program in a worksite in a remote location and at the end of the first session we ran there, someone walked up to the front and explained that they had the pills in their room and a plan about how they were going to take their life on this particular rostered shift," Mr Lockwood said. "Our model is mates looking after mates and educating the workforce to identify when someone is struggling," Mr Lockwood said. "Sadly for men, one of the issues is we're not as good as we might be in terms of help-seeking behaviour. Our tendency isn't to stick our hand up and say 'I need help.'" 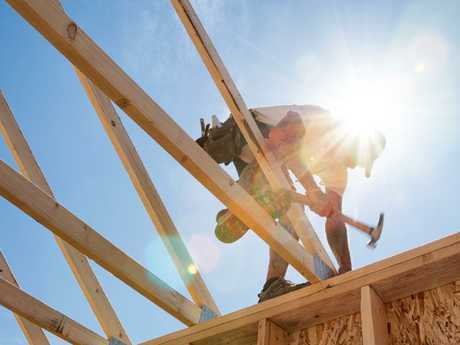 Construction workers die from suicide six times more than in incidents. Anyone working in the medical profession experiences higher than average suicide rates but if you're working as a vet - that figure quadruples. Vets taking their own lives at a rate four times more than the general population is often put down to their daily interaction with euthanasia. Dr Rosie Allister, who manages a 24/7 helpline for the UK mental health charity Vetlife, told Vicethis daily experience can sometimes cause vets to unwittingly draw links. "Euthanising animals is part of our work and always will be," Dr Allister told the publication. "The idea that has been talked about is that we see euthanasia sometimes as a positive thing. We see euthanasia as relieving suffering, as a solution sometimes to intractable problems. "So if an animal is really suffering we can help that animal by alleviating its suffering. And the argument was that - to vets - death is then normalised as a solution to problems." While there a number of studies that both refute or confirm this claim, Dr Allister said despite the evidence being inconclusive, she relied on her own on-the-ground chats. "What we do know that, in qualitative research - so when you talk to vets who have experience of suicidal behaviour - they will often compare themselves to animals. They say things like, 'If I was a dog I would've considered euthanasia' when they're talking about their own mental health issues," Dr Allister said. 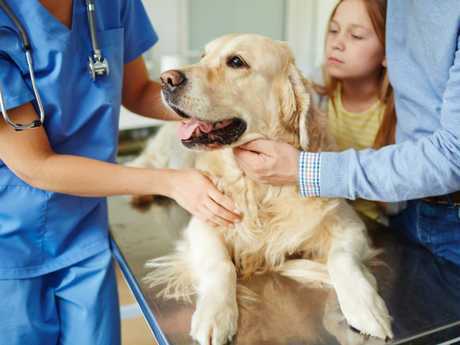 The Australian Veterinary Association says common causes of stress for vets include "working more than 50 hours per week, dealing with difficult clients and problems with interpersonal relationships" can also have a detrimental effect on their wellbeing. Vets take their own lives four times more often than the general population. Ever since fly-in, fly-out workers began to power most of Australia's mines, mental health in the industry has rapidly deteriorated. Data from the National Coronial Information System, commissioned by The Australian last year, cast a spotlight on some of the worst professions for suicide from 2011 to 2014. Construction and mining labourers accounted for 0.15 per cent of Australia's suicide rate with 239 deaths in the three year period. Former FIFO worker Ryan was on site for seven of those - and has heard of at least a dozen. The Gold Coast local spent five years in the industry working in mines across Queensland, Western Australia and the Northern Territory. Ryan said Western Australia, known for having some of the nation's most remote mines and a bad working culture, was the worst place to work. "It's so bad in Western Australia, it's so isolated and the heat and conditions are so intense," he said. "The camps are also so s**t. They're seriously like a big walk-in wardrobe with a bed, a closet and a little computer screen for a TV and outside your window is just dirt. Nothing else." Ryan said one of the biggest problems out there was the lack of reception and internet, meaning workers were often in total isolation and completely alone with their thoughts. "You're out there for three to four weeks with no reception, the worst internet possible, you need a strong mind for that," he said. "A lot of the males don't like to talk too much but they do provide you with all the Lifeline numbers and counsellors you can call anonymously but it's not enough. "The reception is so bad out there you can barely call your partners, let alone Lifeline." Ryan calls himself "one of the lucky ones" because he was able to get out of the industry without developing a severe mental illness or landing himself in massive financial debt. "Things didn't get too crazy for me, I had one relationship breakdown but that was it," he said. "The average family man doesn't want to be away for three to four weeks, away from their kids and missing important events. It's hard." 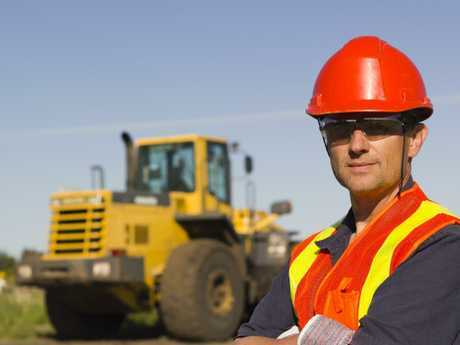 The FIFO industry has fuelled mental health problems in the mining sector.